This September 9, when the UFC debuts in Edmonton, Alberta, Canada with UFC 215, former Strikeforce champion Gilbert Melendez will reportedly look for a fresh start in the featherweight division. 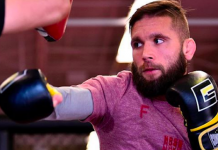 His opponent for this featherweight debut will be hard-hitting veteran Jeremy Stephens. This bout was first reported by Damon Martin. Melendez will make this drop to featherweight having lost his last three bouts at lightweight. In his most recent bout, he lost a decision to surging contender Edson Barboza. Prior to that loss, he gave up a decision to former Bellator and UFC lightweight king Eddie Alvarez. This loss, finally, was preceded by a failed UFC lightweight title shot, during which he was submitted by Anthony “Showtime” Pettis – who recently also dropped to featherweight but unfortunately didn’t realize the desired results. 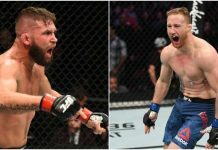 Stephens, meanwhile, was last seen in the cage in April, during the UFC on Fox 24 broadcast, when he gave up a split decision to the unheralded Renato Moicano. This loss was preceded by another decision loss to former UFC lightweight champion and two-time featherweight title challenger Frankie Edgar. 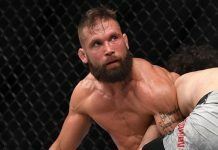 At present, UFC 215 is without a co-main or main event. 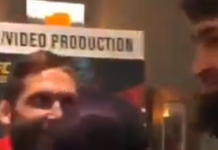 It does, however, include a pair of notable fights. One of these fights will occur at heavyweight, where surging French contender Francis Ngannou will collide with former champion Junior Dos Santos. The other will go down at light heavyweight where Australian prospect Tyson Pedro will take a big step up in competition against Swedish powerhouse Ilir Latifi. UFC 215 will go down inside Edmonton’s Rogers Place, which serves as the home of the NHL’s Edmonton Oilers. 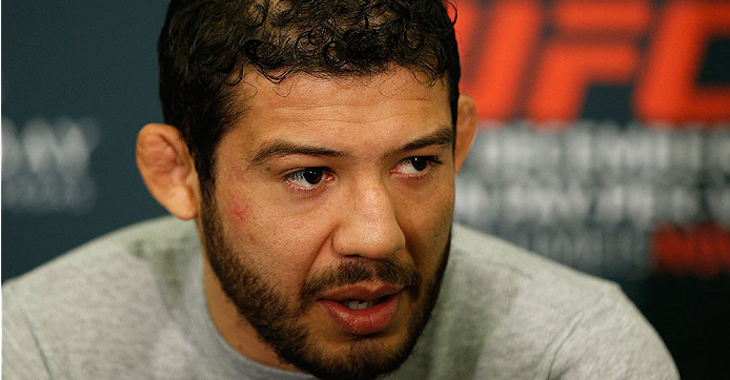 How do you think Gilbert Melendez will do at featherweight? This article first appeared on BJPenn.com on 7/2/2017.